Over the years, we’ve changed a lot about the way we try to launch our applications. 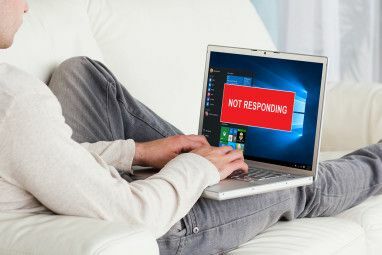 Out of all the operating systems out there, Linux seems to be the experimental playground to try out different methods of launching applications. First it was typing in their name on the command line, then there were menus, then there was Gnome-Do Find & Launch Linux Applications In A Flash With GNOME Do Find & Launch Linux Applications In A Flash With GNOME Do Read More , and recently there was Synapse Synapse - Quickly Launch Apps & Easily Find Anything [Ubuntu] Synapse - Quickly Launch Apps & Easily Find Anything [Ubuntu] Read More . However, all those have slowly faded, and a new, promising solution has appeared which already offers an effective way to launch your applications in Linux. GNOME Pie is the latest piece of software that lets you launch any of your applications, favorite locations, and more using a hotkey combination and your mouse. When configured correctly, it seems to be very effective for users, but also visually appealing. So you have been warned: work comes before play. Once that completes, you need to launch GNOME Pie via your terminal by entering gnome-pie. The application will, for now, run from the terminal, so if you close the terminal, you close GNOME Pie, but we will fix this shortly. Once it is opened, you can get the feel for it by playing around with it for a while. 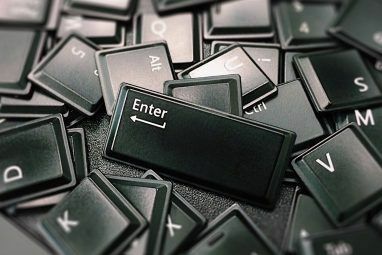 The default hotkeys are: View Bookmarks: Ctrl+Alt+B, Multimedia: Ctrl+Alt+M, Sessions: Ctrl+Alt+Q, Applications: Ctrl+Alt+A, Main Menu: Ctrl+Alt+A, Space and Windows: Ctrl+Alt+W. To exit, you can either hit Esc or simply right-click. Once you’ve had a little fun (or just want to go to the settings first), you can do that by clicking on the very nice looking system indicator (aka tray icon) and clicking on settings. In the General tab, you can choose things like whether you want it to startup on login, whether it should show an indicator, “turbo mode”, the overall size of the entire pie, and which theme you’d like to use. Ubuntu users will probably use the Unity Ubuntu 11.04 Unity - A Big Leap Forward For Linux Ubuntu 11.04 Unity - A Big Leap Forward For Linux It's here. The newest version of Ubuntu sports an entirely new user interface: Unity. 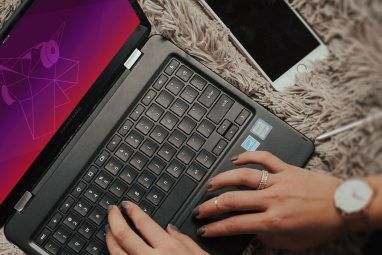 It also includes a much-improved Software Center, alongside the usual updates for the thousands of free programs Ubuntu offers. Canonical decided... Read More theme as that is Ubuntu’s shell. GNOME 3 users will probably want to use Adwaita to keep everything uniform. In the Pies tab, you can change any number of aspects for each pie. You can add new pies, add new slices, delete some as well, and change the hotkey combination to launch each pie. The exact configuration is up to you, so there isn’t much else I can say here. Configure as you please! Now that you’ve configured everything to your liking, you can play around some more. Launching applications is very intuitive. After pressing the hotkey (Ctrl+Alt+Space), you’ll be presented with the different categories, where you can then click on one and get a different set of items on your pie, according to the category that you have chosen. That’s it! GNOME Pie is easy to install, configure, and use, and its visual appeal is also very much appreciated. Now you can launch all your applications and folders quickly and in style. In time we’ll see whether GNOME Pie is just another fad like Synapse, or whether this little app is going to stick around for quite some time. Personally, I like it and hope that it gets to stay around. What are your opinions of GNOME Pie? Out of all the application launchers, which was your favorite? Why? Let us know in the comments! 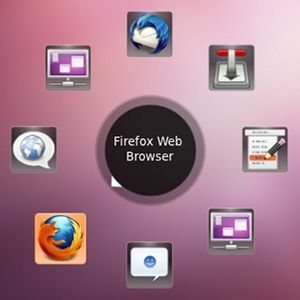 Explore more about: Android Launcher, GNOME Shell, Keyboard Shortcuts, Ubuntu. Why call Synapse a 'fad'? It's a great tool on it's own, once you've got it installed for a while. I hope it's there to stay. I will try GNOME Pie in the next coming days. Thanks for sharing. Personally I liked Synapse a _lot_ as well, but when it was first released the Linux communities went crazy over it. Now...not so much. Nice. But I got used to my Kupfer.